The KM Consulting Methodology has been designed to ensure a proper, comprehensive, systematic and consistent approach to successful knowledge management. It embraces a holistic approach to the strategic, cultural, people, process and technology issues. ▪	Awareness about the benefits of knowledge management and its relationships to strategic as well as operational and day-to-day issues in the business environment. 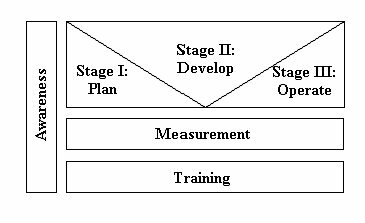 ▪	Stage I: Plan refers to the Knowledge Management Strategic Planning phase. ▪	Stage II: Develop is the phase in which an organisation transforms itself to a KM enabled company based on the company-specific KM value proposition derived in Stage I. ▪	Stage III: Operate is the phase in which an organisation rolls-out a company-wide implementation plan with a holistic approach to KM. ▪	Measurement of the level of leveraging of knowledge assets with a KM effort. 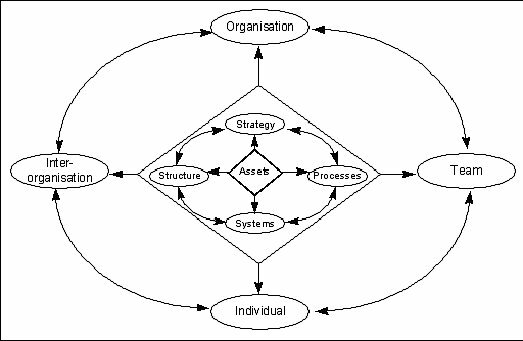 The method is designed to be modular so that an organisation can choose to start at different levels depending on its readiness, needs and requirements. To ensure a proper focus on the critical knowledge areas and assets, and to ensure the correct relationship between the constituent parts of the KM implementation initiative, a holistic knowledge asset centric framework is used, as below in Fig 2. ·	The vision and readiness for a knowledge management initiative; and ·	The scope and feasibility of the project. In Stage II of "Developing the Knowledge Enabled Organisation" the structure and the design of a holistic solution (that covers processes, people, technology and content) are iteratively developed, tested and reviewed. When knowledge enabling a process, we are essentially looking to embed all steps of the KM process to ensure that the knowledge is being effectively utilised. This KM process can be embedded into any project, process, Community or network. Iterative implementation approach to minimise risk Stage II follows an iterative approach during its execution. Modules can run in parallel and can be repeated several times throughout the knowledge management initiative. Three simple steps underlie the proposed iterative approach. First, diagnose the most critical problems and opportunities facing the organisation with respect to knowledge management and sketch out a possible solution. Second, quickly, translate the sketch of a solution into new work processes and systems; include new ways of working as well as new computer systems, and begin using both for real. Third, scale up systems for rollout across the whole organization. Communicate the proven success of the trials in order to build momentum for change. The essence of the iterative prototyping approach is rapid learning from doing. Speed ensures that change is always relevant, it forces trade-offs so that limited resources are devoted to pursuing goals of real business value, it allows top people to participate in change, and it builds unstoppable momentum. Trying out new ideas in the real world allows their shortcomings to be rooted out by the harshest of tests - real-world experience - and their successes to be proven beyond challenge from the most cynical critics. By stressing speed of change and using the real world as a laboratory to learn from, the iterative prototyping approach makes change and improvement a constant fact of corporate life. Stage III is the company-wide implementation of the KM initiative, while the Measurement part of the method aims to provide consistent support for measuring the creation, sharing and use of knowledge assets within the company. 1. The KM enabled area (process, project, Community) 2. The people. When KM enabling any process, the following KM process will be embedded within. The steps of the KM process are the basis of the metrics for measuring how effective KM enabling a process has been. Measures are initially defined at the start of the process and subsequent measures will then be taken on a monthly basis, following on whether certain criteria have been met, at each step. It is important that at least 3 sets of monthly measures are taken, as this helps improve the KM enabled process, as described in the iterative approach. By measuring the effectiveness this way, gives the organisation a better picture of how well they are doing, in terms of KM enabling, but more importantly, it provides a more focussed approach on the level of work that still needs to be achieved. This is an example of a typical Maturity Model for an organisation who is embarking on KM enabling a process. 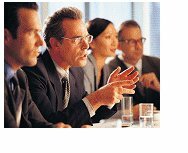 The KM Consultant will help the organisation to define the knowledge competences required for the knowledge worker, in context to their role. Upon defining the knowledge competences, the KM Consultant will work with the organisation to define the appropriate level of competences. Each knowledge worker will be assigned a personal competence plan to enable individuals to view their own competence levels, and identify what is required to achieve further competences. This can be offered through a ‘My Competences’ component within a knowledge portal. The benefit of this is that not only can the individual view their personal progress, but also provides the ability for their manager to be able to support, mentor and coach them, on a continuous basis, by working together through ‘My Competences’. An example of ‘My Competences’ can viewed through registering onto our website (www.knowledgeassociates.com) and clicking on KM Technologies, Demonstration. The following Competence Maps are typical examples of an individual’s progress – starting initially at low levels of competence (blue) and moving outwards to higher competence levels (red line). The Competence Map on the left shows that of an individual and the one on the right shows the overall competence of all individuals within the organisation.